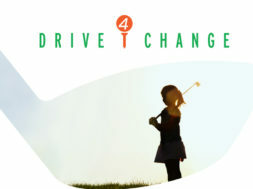 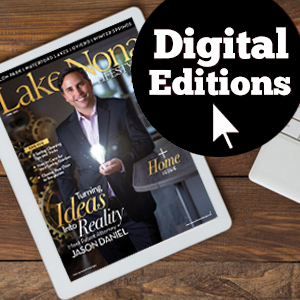 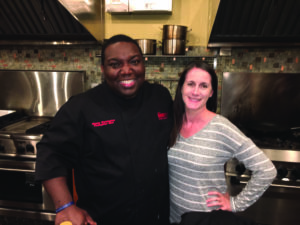 Snapshots from exciting events happening around town this holiday season. 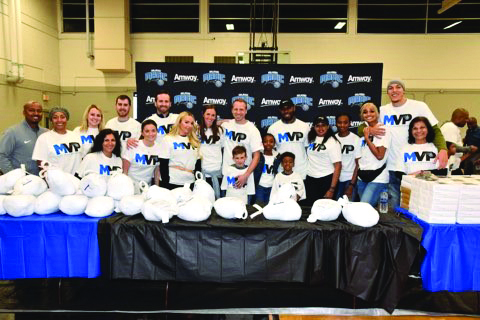 Magic player Aaron Gordon joins Amway Corporation and staff to distribute Thanksgiving meals to local underserved families. 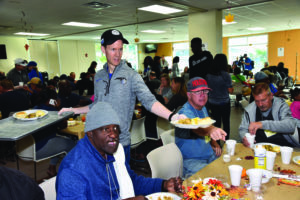 Magic President of Basketball Operations Jeff Weltman serves Thanksgiving breakfast at the Coalition for the Homeless of Central Florida on Thanksgiving Day. 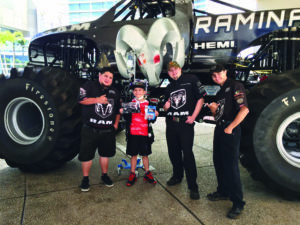 On Nov. 15, the Hall Brothers racing team and monster truck Raminator visited Walt Disney Pavilion at Florida Hospital for Children to brighten the day of patients. 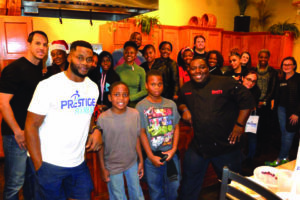 Last month, Prestige Fitness hosted a two-hour cooking class with Chef Manny Washington (Next Food Network Star) that was focused on healthy holiday dishes at Hebni Nutrition. Damien Priester of Prestige Fitness (left), Chef Manny Washington (right) and participants of the healthy cooking class. 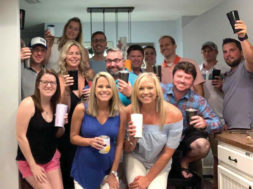 Rosen Hotels & Resorts hosted an evening of hotel hopping to view the holiday offerings at the properties. 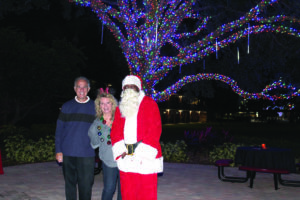 Manager Albert Gallof, Karst Media Group CEO/Publisher Kristi Gomen and Santa Claus at Rosen Inn International. 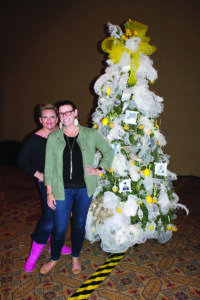 Representatives of the Orlando Union Rescue Mission with their charity tree at Rosen Shingle Creek.